The Samajwadi Party demanded that the government explore the options to summon former Comptroller and Auditor General Vinod Rai before Parliament. 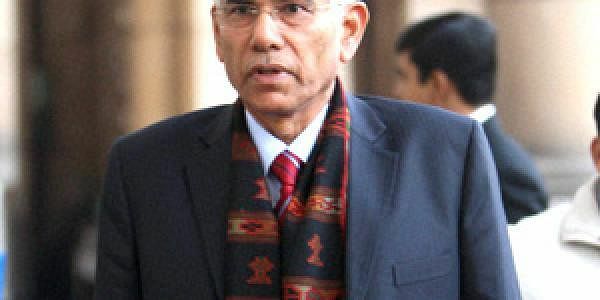 NEW DELHI: With a special court acquitting all the accused in the 2G case, opposition parties on Thursday trained their guns on former CAG Vinod Rai, with the Congress demanding his resignation from all posts he was holding at present. Rai is Chairman of the United Nations Panel of External Auditors and Honorary Adviser to the Indian Railways and a member of the Railway Kayakalp Council. On January 30, the Supreme Court of India appointed Rai as the head of the Committee of Administrators (CoA) to run the Indian cricket board. Initiating a debate on the second batch of supplementary demand for grants in the Lok Sabha, the Congress's Veerappa Moily said: "He has to resign from all the posts and tender an apology and return all the awards." He accused the National Democratic Alliance government of "awarding" Rai for his role in the case. Moily, a former Union Minister, also demanded that the government bring a resolution in the house to reject the CAG report on the alleged scam as it had damaged the country's image. "The nation's economy or projections in the investment profile to the outside world have been severely damaged because of such irresponsible reports given by the then CAG," he said. Rai was the CAG when a report tabled in Parliament in November 2010 talked of a presumptive loss of Rs 1.76 lakh crore to the exchequer in the allocation of the 2G spectrum during the then UPA regime. The CBI court on Thursday acquitted all accused in the case, including then Telecom Minister A. Raja and DMK MP Kanimozhi, who were jailed on charge of taking kickbacks to issue the telecom spectrum and licences in 2008 at throwaway prices. The treasury benches objected to Moily's remarks, saying that since Rai is not a member of the house the Congress leader's remarks should be expunged. Trinamool Congress leader Saugata Roy said it was a "very bad day" for Union Finance Minister Arun Jaitley, who along with Prime Minister Narendra Modi had built up a case of corrupution against the earlier United Progressive Alliance government. "But now, it seems, the whole edifice has collapsed," he said. Roy said that Vinod Rai was now getting a "fat salary" from the Board of Cricket Control of India (BCCI), adding that he should now come before court and be investigated. In the Rajya Sabha, Samajwadi Party leader Naresh Agarwal demanded that the Chair explore the options for summoning Rai to the upper house. "The CAG is a constitutional body. I want to ask if the then CAG, before placing its report in Parliament, can make it public through the press? Can anybody be held guilty on the basis of the CAG report? Can an inquiry be set up on the basis of CAG report? Usually, the CAG's 99.9 per cent objections are cleared in the Public Accounts Committee," the SP leader said. "If a CAG tries to defame the government, can we call him to the house or not?" he asked. Responding to Agarwal' remark, Rajya Sabha Chairman M Venkaiah Naidu said he will look into the issue.